The Virgin Islands government has been awarded approximately $40 million in damages and around $70 million for remediation in a lawsuit with several companies for contaminating the south shore of St. Croix and its waters. Attorney General Vincent Frazer and Alicia Barnes, commissioner of the V.I. Department of Planning and Natural Resources, announced the settlement Friday. The legal action began in 2005 and sought damages and cleanup costs, along with legal fees and funds for restoration, alleging the defendants’ operations harmed and contaminated natural resources, including potential drinking water, the marine environment, plants and wildlife. The companies sued were owners and operators of the alumina refining plant, St. Croix Alumina LLC. ; Alcoa World Alumina LLC; St. Croix Renaissance Group LLLP; Lockheed Martin Corporation; Virgin Islands Alumina Corporation; and Century Aluminum Company. Also named as defendants were Hess Oil Virgin Islands Corporation and Hovensa LLC. The companies operated on the southern coast of the island in Estates Anguilla, Pearl, Hope, Figtree and Jerusalem. All parties, except VIALCO and Century settled with the V.I. government, Frazer said. The settlements are estimated to range from $125 million to $145 million, depending on the extent of cleanup and restoration, according to Frazer. “The defendants have agreed to spend whatever is necessary to clean up,” he said. 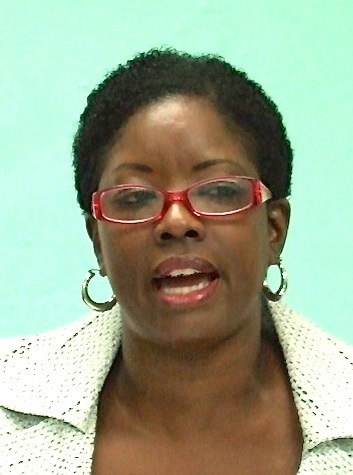 Barnes said cash payments of $67, 250,000 should be received within the next 12 months. Around $40 million, after legal fees, will be applied to the government’s General Fund, she said. According to Frazer, attorneys’ fees and legal fees will be around $15 million and $5 million respectively. Cleanup at the alumina plant includes removing and/or covering the hillside of so called “red mud” south of Estate Profit on property currently owned by St. Croix Renaissance Group. The red tailings will be contained so they can’t contaminate the shipping channel by wind or runoff, Barnes said. The red mud is a metal byproduct from refining bauxite, Barnes said, with the components determined by government investigators. “To speak to the variety or the cocktail of contaminants in that, we do know it is highly caustic and of a nature that, when presented into the natural environment, creates adverse impact. Heavy metals as well, and with those types of constituents leaching into not only ground water, but surface water, you would have adverse impact in terms of it being a contaminant,” Barnes said. The initial settlement was approved by the federal District Court after a public comment period in 2012. On Tuesday, the V.I. government and Lockheed Martin filed a new settlement. The agreement is on display online and at District Court for public comments. The settlement with HOVIC and Hovensa requires the oil companies to make multiple cash payments and the government holds a lien and mortgage on the refinery’s equipment, fixtures and real estate. If the payments are not made by the end of the year, the government can foreclose on the property and equipment. Between the 1960s and 2000, aluminum was refined at the VIALCO and SCA property west of the oil refinery. During that time, “red mud” and other wastes were left on site. The large red hill of residue is visible from Melvin Evans highway and the airport. Also since the 1960s, HOVIC and Hovensa operated one of the largest oil refineries in the world and, according to the V.I. government, “very large quantities of petroleum and other wastes have contaminated water underlying and near the oil refinery.” Hovensa closed operations in January, 2012. It took 9 years !!!!!! !